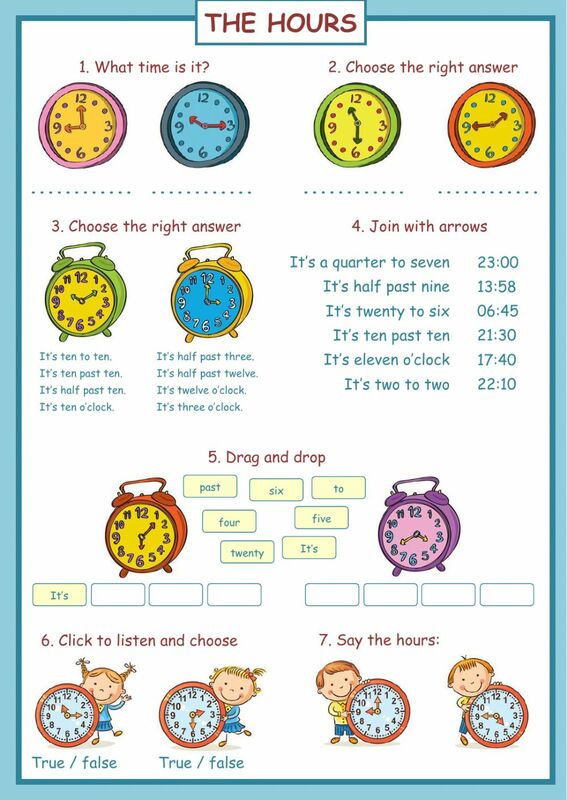 A worksheet to practice the hours in English, including reading, writing, listening and speaking exercises. Thanks a lot for your creativity! This seems to be a model worksheet of yours with almost all the possibilities the site tools can offer! Simply amazing! Thanks a lot!!! I think that the answers without 'a' before 'quarter' in Ex.1 and Ex.7 should be accepted as the correct ones too. You are right, kohai. I've just added them as possible answers.